On Wednesday 26 June 2013 CILIP Ireland and Career Development Group (NI Division) hosted ‘Celebrating Success’, an event which took place in the trendy Titanic Quarter Campus of Belfast Metropolitan College. The programme was themed around recognising achievements and encouraging the continuing development of library and information workers in a variety of sectors. Members and non-members were invited to meet, network and hear from knowledgeable speakers on topics relating to promoting skills and expertise within the information professions. 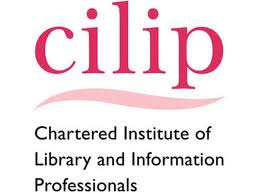 Simon Edwards, Director of Professional Services at CILIP, spoke about gaining recognition for professional skills and gave an overview of the CILIP Professional Knowledge and Skills Base (PKSB). The PKSB is a framework designed to help members to identify and monitor a broad range of professional skills. As a self-assessment tool it can be used to identify gaps in skills and experience, with a view to expanding expertise and developing knowledge in a range of contexts. Simon discussed making professional registration more relevant, accessible and attractive. Routes such as Certification and Chartership are important pathways for exploring continued professional development. A lot of attention has been given in recent times to CILIP rebranding and Simon gave an update on this, advocating member’s choice and speaking of change as an opportunity to move forward refocused on ethos and ambition. Dr Jessica Bates (@Jessica_Bates), Lecturer in Library and Information Management at the University of Ulster, spoke about the value of research for library and information services. Like Simon, Jessica emphasised the importance of professional knowledge and skills being balanced by professional practice and reflection. As Jessica said, ‘if the role of the librarian is to enable learning, we need also to progress our own learning and development’. Jessica alluded to the building blocks of success such as learning from others, study and evidence based practice. There are many routes to professional success and reading is key to developing professionally. Keeping up to date with journals and publications such as CILIP Update are important ways to engage with research and learn about best practice. Jessica was joined by present and former students of the Library and Information Management course at UU; Geraldine Delaney, Sarah Smyth, and Peter Wright - fitting advocates for the information profession and lifelong learning. Jessica talked about celebrating the success of students and graduates, both in terms of their individual achievements and their role in raising the status of information professionals in Northern Ireland. Sarah Smyth shared her success in contributing to an emerging body of local research evidence, through her master’s study of eBook usage among higher education students in Northern Ireland. PhD student Peter Wright who is currently researching the use of tablets in post-primary schools, talked about his own route to the profession and the role of CILIP Chartership in introducing ways of developing both the library professional and the library. I was delighted that my fellow classmate Geraldine Delaney shared expertise from her career and academic life, from working on a project restocking libraries in post-revolution Romania to becoming an informed advocate of library practice through postgraduate study. It is a worthy exercise to look at the balance of our skills, particularly given the diverse roles encompassed by ‘information professions’ and the scarcity of the term ‘librarian’ in job listings. This was a common thread among the speakers and interestingly, Sarah Smyth shared in her presentation an illustration of this emerging reality via the blog post by Mia Breitkopf, ‘61 Non-Librarian Jobs for LIS Grads’. There is no ‘one size fits all’ and we are now experiencing the information profession at its most diverse. We need to be equipped for professional practice in all its guises-libraries and library related roles are changing at a rate analogous to the chicken-and-egg scenario. What emerged most for me from this event is not just celebrating success but the journey towards it. Simon referred to a library and information career path as a visual equivalent of the London Underground map - there are so many destinations, junctions and opportunities to re-route that no two professionals’ paths could possibly be the same. Benefits of attending an event like this include networking with a pool of people from different information professions. A strange sense of like-mindedness amongst diversity, regional networking events can cement a feeling of support rather than competition within the information community. Whatever course/membership/professional recognition route you choose, relish the possibilities on your path of development. 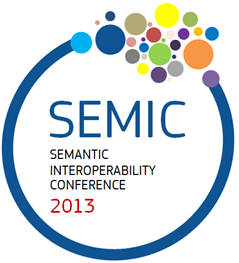 The Semantic Interoperability Conference was held on June 21 this year at The Croke Park Conference Centre, Dublin. It was a most interesting conference, the main theme of which was Achieving Interoperability Through Reuse. Conference Speakers presented case studies on many topics including the topic of Open standards for e-Government and the evolution of eGov Core Vocabularies, presented by Phil Archer of W3C, the Semantic Operability of Basic Data in the Italian Public Sector, presented by Giorgio Lodi of Agenzia per L’Italia Digitale- AGgID and publishing and linking government data. Active discussions were held on the subjects of linked data and core vocabularies. One conference speaker, Leda Bargiotti of the Publications Office of the EU introduced the topic of DCAT Application Profile, a specification for describing public sector datasets in Europe. The specification is based on the Data Catalogue vocabulary. The use of the semantic web was also discussed in the context of maintaining the quality of EU statistics. In his paper entitled ‘Maintaining the Quality of EU Statistics While Enabling Re-Use’, Marco Pellegrino of Eurostat suggested that semantically linked data could lead to a standardization of statistical data and faster provision of more accurate statistical information. Pellegrino also made reference to RDF vocabularies, linked data and RDF Data Cube Vocabulary based on SDMX. He highlighted several issues to consider if updating a statistical database in RDF format, including a possible loss of control of ownership of the statistical data, possible conflicting statistical figures occurring when the database is updated in RDF, and a broader definition of raw or confidential data held by the body updating the database in RDF than the body processing the statistical data. Jochen Hummel and Gudrún Magnúsdóttir of ESTeam AB presented a case study of the use of the semantics and language technology in TMClass to harmonise trademark registrations. The organizational benefits of making the European Trademark System interoperable with semantics include the seamless and borderless intellectual property registration of a trademark in any of the official languages of the EU. A commercial benefit of this interoperability is that an individual’s or organization’s trademark can be described in their native language. Finally, Richard Cyganiak of the Digital Enterprise Research Institute (DERI) at NUI Galway spoke about a project to publish and link government data using the Open Data Pipeline (ODP), a web based publishing platform. Richard discussed how input data, such as .csv or excel files, was mapped onto ODP using D2RQ, a database-to-RDF mapping tool. Perhaps the key message put across from the case studies presented at the conference was that semantic interoperability between public sector datasets and datasets within EU institutions can facilitate the provision of access to cross-border EU datasets, access to EU policy and data sharing. Are e-books any of our business? 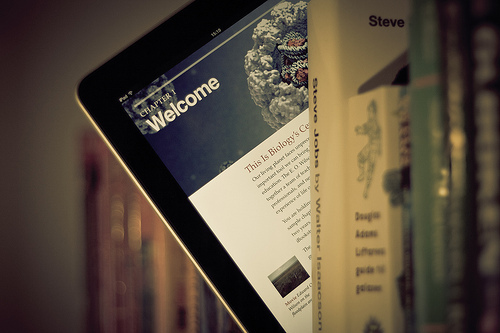 If you haven’t noticed, higher education libraries are stuck in a long and complicated e-books crisis. It’s very different from the serials crisis, with its clear battle lines drawn between Open Access evangelists tilting at predatory publishers, but a crisis that could leave both libraries and traditional publishers side-lined as redundant middle men. Higher education e-books are nothing like the slick and highly successful e-book Kindle model. They’re clunky DRM-laden PDFs, sold from publisher to aggregator to library with a series of constantly changing business models. They’re just about tolerable for users to read on a PC screen but close to useless on any other device (phone? Tablet? Good luck trying). But students seem to be OK with them, preferring reading a bad online version for free rather than spending €50-€70 on their own print copy. The publishers know this, and they’re terrified. They thought a dual model of print and online was sustainable but its killing them, and they’re backing out: either refusing to sell e-versions to libraries or hiking the prices and restricting the access terms to make them less attractive. So where are we going? Nobody knows, but there have been some interesting suggestions, such as a Spotify for e-books. Here’s what I think – in five years, libraries will have no role in handling the Big Undergrad Textbook – venerable beasts like Sociology by Giddens. If publishers don’t adapt and start selling online very widely and very cheaply, someone else will. The Big Textbooks are easy kill for ambitious startups, people like Flatworld Knowledge and OpenStax, who provide very readable access to more generic undergrad content across all platforms for free or close-to-free. Students will soon access this content direct – there’s no need for libraries here. With most other book content, like more specialised textbooks, supplementary readings and research monographs, I think we’re on safer ground. A lot needs to change here – publishers needs to provide better interfaces and better business models and we libraries need to be willing to negotiate a fair price for this. But can publishers survive on all these titles with much smaller demand, without the Big Textbook cash cows? I just don’t know. Will we also see the rise in the university press for e-books, or radical redefinitions of what we think of as books? Perhaps, but maybe not in the short term. While we’re slowly getting there with the e-textbook, one medium that’s crying out for online delivery is the dusty, discipline-specific reference book. Students should, but don’t use them - (mention of them in my classes meets blank-faced silence – worse than PowerPoint slides of Boolean Venn diagrams). But publishers don’t know what to do with them online. A massive, once-off purchase? An annual subscription? In any attempts I’ve made to move online with them, publishers have replied with some jaw-dropping ten-fold price increases from the print version. And even if I went for it, would students use them instead of Wikpedia? I’m not sure. We shouldn’t waste a good crisis. So what can librarians do, short of becoming publishers ourselves? One area we need to do better in is liaison with lecturers in sourcing texts. Instead of taking the lecturers title request and making guesstimates on projected demand (3 e-book copies, 5 short loan print copies etc. ), we need to work with them to try to figure out how to get (1) the best quality texts at (2) reasonable prices and (3) all with 24/7 access across all platforms for all students and (4) trying to do all this across all modules. It’s a very tall order, but if should be very interesting seeing if we can do it. *Thanks to my colleagues Miriam Corcoran and Mary Kiely for their advice in researching this. Back in 2012, Ithaka S+R joined up with Jisc and Research Libraries UK (RLUK) to find out about UK higher education academics’ attitudes and behaviours in the realms of research, teaching, and scholarly communication. Essentially, this large-scale study offers a broad bird’s-eye view on the multi-layered activities of academics in the higher education field. These include peoples’ approaches to resource discovery and content access, opinions on print-to-electronic format transitions, research methods and practices, publishing and research communication as well as undergraduate instruction. The perceived role and value of the academic library was also addressed, the core observation to which I will briefly point out here. As an aside, the survey’s target population was drawn from different sources, such as the A-mail Academic database, and included UK based academics that were identified as ‘Head of Department/Faculty’, ‘Professor’, ‘Lecturer’, ‘Associate Professor’, ‘Director’, ‘Researcher’, and ‘Reader’. In November 2012, 45,809 individuals were sampled and invited by email to participate. In the end, 3,498 completed surveys were returned (a response rate of approx. 7.9%) covering the disciplines of Arts and Humanities, Social Sciences, Sciences and Medical/Veterinary. 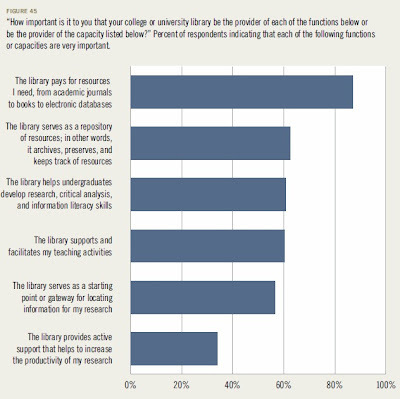 So where does the library feature in the respondents’ respective orbits of academic activity? The survey authors identified six broad areas of library activities, and asked the survey participants to identify how important these activities are to them. Note that the six roles above are not exhaustive. They merely represent a broad perception set (for example, the important role libraries play in the support of open access publishing is not specifically covered). Thus far, libraries still seem to play a role for the 21st century academic. Representatives of the Irish SCONUL Statistics community assembled in the University of Limerick on June 13th for a 1-day ANLTC workshop delivered by Claire Creaser, the Director of LISU. All UK universities and almost all Higher Education Colleges are members of SCONUL, and increasing numbers of Irish university libraries are now contributing their annual statistics to the SCONUL database. Ireland will for the first time in 2013 have an All-Ireland total and this will allow us to realistically compare our performance and identify gaps in service. With approximately 3 years of Irish statistics available it is not possible yet to definitively comment on trends in Irish libraries. However with more Irish libraries submitting their statistics to SCONUL we will be better able to benchmark locally and we can have some authority in our advocacy efforts. Member libraries will be able to readily access up to date figures from the SCONUL database. Business cases can be built on quantitative data allowing us to include strong evidence in funding bids and strategic planning. The first group practical session of the course asked us to consider how libraries can measure the effects of new trends on our library services. The suggestions below address familiar trends in Open Access, Patron-Driven Acquisition, Communication, Mobile access to information, Digital Libraries, Shared Services, Altmetrics, Large Datasets. Identifying the trends was step one, our next challenge is establishing common ways to measure the effect of these trends on our services. SCONUL took this feedback from the group and obviously can help with the recording of some of it but there are probably some things we can do ourselves. This is not an exhaustive list but demonstrates how some of our colleagues are already using available data to make service improvements. Perhaps we can flesh out this topic in an #irelibchat next year? Evaluate engagement levels with your Facebook page or Twitter? Are your QR codes resulting in increased traffic to your site? The afternoon’s practical session focused on using the SCONUL Statistical Reporting Tool. The statistical reporting tool is available to SCONUL members only and is a very useful way for libraries to carry out benchmarking exercises against similar institutions. When building a case for a new library, Loughborough University made use of SCONUL data about themselves and their nearest neighbours. They demonstrated that despite having fewer study desks in their library they were more heavily used than those at neighbouring libraries. Having SCONUL statistics available helped them to prepare an evidence-based submission to their funders. They did not get a new library but are due to begin a refurbishment in September. The first (of many, we hope) CoPILOT workshop took place on the 30th May at the University of Surrey. I wrote a while ago about the community of practice we’ve set up in the UK to encourage and support librarians to share their information literacy teaching material. More information can be found on our wiki at iloer.pbworks.com. This workshop was designed to introduce participants to CoPILOT, with some background information on the projects and surveys we’ve run and our aims as a group. Various members of the CoPILOT Committee ran the sessions. Vivien Sieber then introduced the group to Creative Commons licencing and we had a short activity (run by Anne Pietsch and Marion Kelt) to look at how ‘open’ our library and information literacy teaching practice is. This was a really useful way of self-auditing practice and getting people to think about how they could improve the way they work with open educational resources. We also had Sarah Currier from Jorum, which is our equivalent of NDLR, talking via Adobe Connect about updates to the system. She joined us again later in the hands-on workshop to talk through both finding resources on Jorum and uploading your own content. Another CoPILOTer, Helen Howard, also joined us remotely to talk through how her institution, the University of Leeds, has introduced an Open Educational Resources policy, which was developed in the library. We had around 35 participants on the day and we’re now collecting feedback from them. It was our inaugural event, so we’re looking to tweak the programme and make improvements for the next iteration later in the year. Verbal feedback on the day was positive and it was great to meet so many like minded people from all over the South East of England and beyond and to hear their thoughts on sharing their teaching material openly. Please go to the CoPILOT SlideShare page to see the slides from the day. For further information you can follow us on Twitter @CoPILOT2013, visit the wiki or join our mailing list at IL-OERS[at]jiscmail.ac.uk. There are so many lists with hundreds of great twitter accounts you should follow, including our own Librarians in Ireland List (164 members & rising!). But with Twitter - especially for infrequent users - less can be more. Following a small handful of key people who consistently tweet relevant, high quality content, and keep up-to-date so you don't have to, can be very valuable, low-maintenance CPD. #FF is Follow Friday, so I have compiled a list of my top ten LIS-related tweeters (& their bios to give you an idea of what they tweet about), but these are pretty much based on my own interests. So if you are interested in scholarly communications, research, service design and delivery, learning, higher education or social media they are well worth following. That said, several tweet about more general LIS issues also. I am always trying to encourage more LIS professionals to write about their experiences, and undertake and publish research (to the extent that a colleague recently called me a "journal pusher", in the nicest possible way of course ;)). It should be an easy sell in theory: you develop valuable skills; increase the visibility of your library and its services; learn from, and share with, your colleagues to improve how things are done. The list of positives is endless. However, in practice it is incredibly difficult for many of us to translate our motivations and intentions into actual output; our day jobs of keeping understaffed libraries ticking over can quickly drain us of both our time and enthusiasm. An excellent, short book that I would recommend to anyone who finds themselves in this position is Paul J Silva’s How to Write a Lot. It is around a hundred A6-sized pages, so importantly does not distract you from the task at hand - writing. Many of the techniques and approaches that Silva suggests are simple, and indeed obvious, but yet they can be incredibly powerful. The trick is allotting or scheduling the time to write, instead of trying to “find” it – because, let's be honest, you will never, ever “find” it. Indeed, regularity is the essential ingredient in productive writing, not necessarily the length of time or the volume of writing. This is why I believe that blogging can be such a valuable tool for developing your writing output. Blogging encourages you to write regularly, but does not have to be lengthy or time consuming. It is the habit and implicit commitment to writing that is the powerful concept behind it, or in the words of Keyes (The Writer's Book of Hope, 2003), routine is often a better friend than inspiration. This explains why people can find blogging very difficult at first, simply because they may not have developed a regular routine or habit of writing yet. If bloggers persevere beyond this initial threshold, most find that it becomes much easier once writing becomes embedded as a behaviour. Silva also suggests other useful strategies that people may often overlook. Setting concrete and explicit writing goals can be a motivational tool. But it is important to stick to these goals in the same way that we stick to our non-writing goals. Actively monitoring your progress not only helps you focus on your writing objectives, but seeing your work progress over time in a visible way can encourage you to follow it through to completion. Social strategies, such as engaging with peers or friends about your ideas and exchanging feedback, can also be incredibly valuable ways of sustaining your writing. I will finish this post, with two of my favourite ideas from Silva's book that are worth remembering at all times. Firstly, "writing is not a race", and secondly it is about "less wanting, more doing". Today I went along to the first installment of a two-day workshop revolving around the idea of the importance of creating trust and authenticity within the domain of archival and preservation practices around digital content information. What follows below is a selective recapture of today's activities and some relevant resources. The day started off with an introduction to APARSEN, which is an alliance of institutions in the business of enabling long-term accessibility and usability to digital information and data through a shared and sustainable infrastructure. Consider in particular their knowledge base, which contains resources on technologies and preservation tools. David Giaretta's half-hour lecture on the difficulties of digital preservation is well worth checking out in this context. Next up was an overview of the Digital Repository of Ireland, which is about preserving contemporary and historical, social and cultural data held by Irish institutions. Consider their reports section to find out more about activities of digital archiving within the Humanities and Social Sciences in Ireland. Ingrid Dillo from DANS/APARSEN gave an interesting overview about evaluation levels and guidelines for IRs. The idea here is that digital repository operators submit themselves to rigorous checking for the purpose of getting an official seal of 'trust' approval. Drillo emphasized that IR operators should be cognisant with regards to their ability in achieving certification status. Depending on individual operational contexts, certification might not be necessary or desirable. Also consider the report "Insight into Digital Preservation of Research Output in Europe", which describes the results of the surveys conducted by PARSE.Insight to gain insight into research in Europe. Providing accurate and reliable information to library patrons during synchronous virtual reference interactions (instant messaging) is not all that matters. It is also important to consider what impact formal or informal language use by reference librarians can have on the level of success in IM reference chat. The idea of a social 'face' also applies to virtual environments and not just the all-familiar face-to-face encounter at the traditional reference desk. Verbal language style, prosodic signals as well as facial expressions and body language augment expressively to the "what's going on" in face-to-face information exchange. The challenge of IM reference is the apparent lack of these cues due to the physical separation of patron and service provider. Hence, IM reference librarians solely rely on written language to compensate: the question is whether to use a strictly formal or informal register. determined by two basic variables: quality of information provided and use of written language style. Waugh (2013) considered this very question and conducted semi-structured interviews with five 17- to 25-year-old university students to find out how formality of language affects their perception about librarians they encounter during IM reference situations. The interviewees were asked to pass judgement on two IM reference transcripts (one uses formal, the other uses informal language), and subsequently share their opinions about perceived levels of professionalism, competency and credibility displayed by library staff. The quality of interpersonal connection was also considered. The results of this exploratory study were a mixed bag. And that's no surprise, really, because the researcher looked at personal perceptions about the effects of language use in two very different IM reference transcripts. For example, the formal transcript was considered robotic and impersonal by some respondents, but also valued as competent and trustworthy. Essentially, there was no clear preference expressed for either - formal vs. informal - language use in IM reference interactions. Both styles bring with them inherent advantages and disadvantages, which are perceived differently depending on the situational context and individual patron. The basic challenge is that IM reference interactions take place place in a vacuum, because so many signifiers are absent. To compensate for this, I tend to simulate the patron's language style in IM reference. But the 'right' style of language can sometimes only reliably figured out by buying some time. Depending on the situation, I do this by deploying a neutral welcoming statement. This is an effective way to establishing a socio-emotional relationship despite the obvious constraints in doing so in the first place. Tuning into the patron by adopting their IM lingo has to date worked quite well. It's an intuitive and adaptive approach more than anything else as I don't subscribe to rigid formal or informal language styles. This is one of the main reasons why I don't use pre-formulated (canned) replies as they just don't work in most interactions. In addition to 'appropriate' language use, it is also important to let the patron know what's going on at all times during a VR reference chat session. It is particularly important to spell out instructions as clearly as possible in order to avoid any misunderstandings. Not doing this can have two very negative effects; 1) unnecessarily prolonging the conversation, 2) potentially turning a positive exchange into a negative one. Use of emoticons, abstractions and abbreviations can also work well for IM reference relationship building. However, I tend to use these devices with caution, and only if an informal rapport has been truly established. Without trying to downplay the argument over which language style is most appropriate (formal vs. informal), at the end of the day it is the patron who sign-posts the level of formality in IM reference chats. Waugh, J.. Formality in Chat Reference: Perceptions of 17- to 25-Year-Old University Students. Evidence Based Library and Information Practice, North America, 8, mar. 2013. Available at: http://ejournals.library.ualberta.ca/index.php/EBLIP/article/view/17911.